Fun Film Courses for Corporate vacations, team-building, incentive travel holidays in Scotland. MSc. degree in film production from the Scottish Film School, Napier University, Edinburgh. Diploma in TV and Stage Management from The Royal Scottish Academy of Dramatic Art. Associate of British Institute of Professional Photographers. Many years of experience in set design in Film and Television art departments, and as Art Director in both television and film. 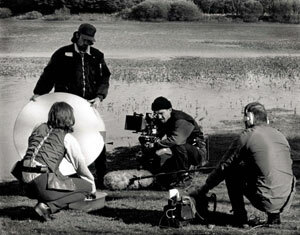 Scottish Film School, Napier University. Has his own company, Animals in Action, supplies trained animals of all types for television and film. Meeting Expectations - Conference Management & Meeting Planning Company Meeting Expectations is a full service conference management, event marketing, and meeting planning company. We offer short fun-based courses teaching basic movie-making skills -- mixing the thrill of film making with the mystique of Scottish history, myth, legend and fantasy. Making a film is the ultimate team challenge - a highly collaborative and enjoyable effort. Participants produce, direct, act and learn about film editing, set design, wardrobe and make-up. 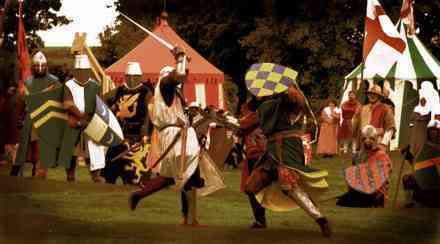 Most of the dramas will be period pieces so there is the opportunity to get dressed up! Themes can be adapted to the individual client group needs and interests. Courses last 3, 5, 10 or 14 days or can be tailored to the client's requirements. Normal working-day hours; evenings are free. 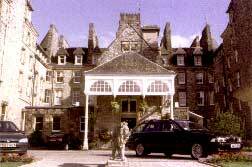 Clients are responsible for arranging and paying for their own flights/transport to Scotland. Transport from the designated Scottish airport/station is provided and included in the cost of the course. Transport to filming locations is included in the cost of the course. Accommodation on a Full Board basis (breakfast, lunch, dinner) is included in the cost of the course and is provided in the historic Atholl Palace Hotel, Pitlochry, Scotland.